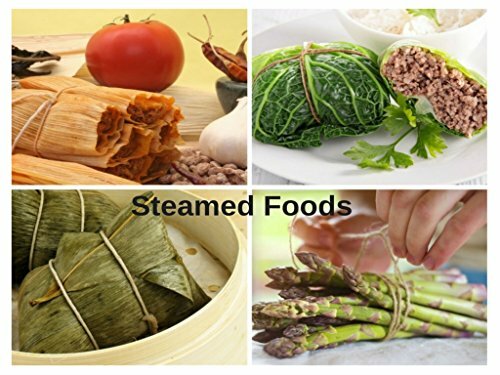 View More In Colanders & Food Strainers - Page 4. 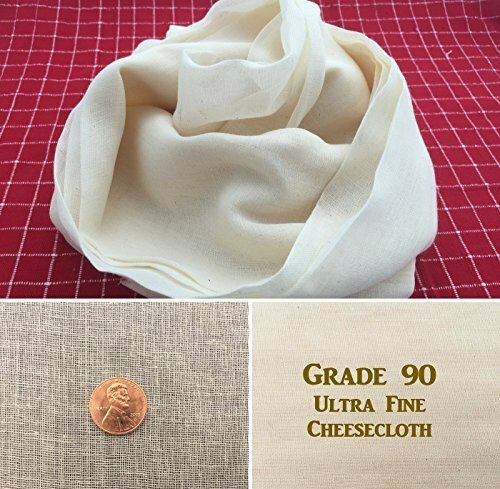 OUR QUALITY CHEESECLOTH is of Grade 90 ultra-fine mesh 44x36 thread count per inch. 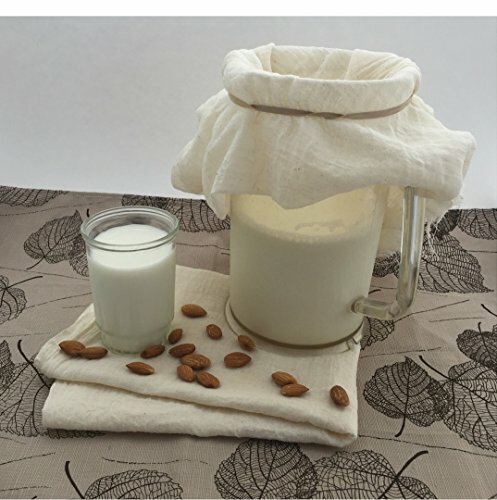 It is made from 100% natural cotton fiber no synthetic mix materials. 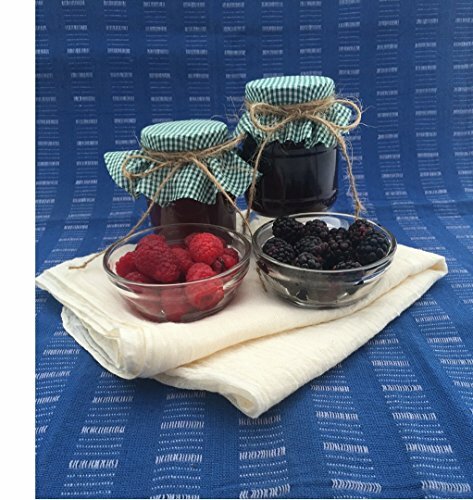 This cloth is food safe with no bleach, dye, or other added chemicals. 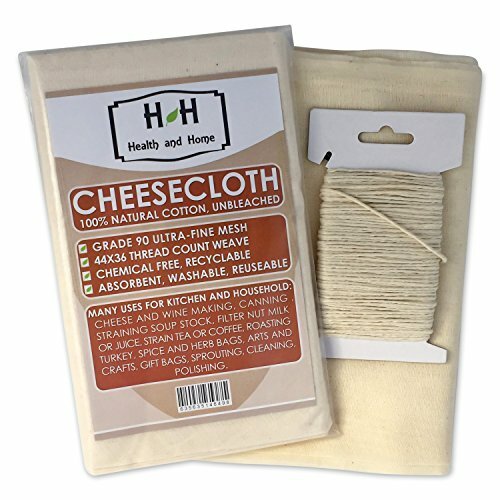 It is soft, absorbent but durable and can be washed to reuse many times. 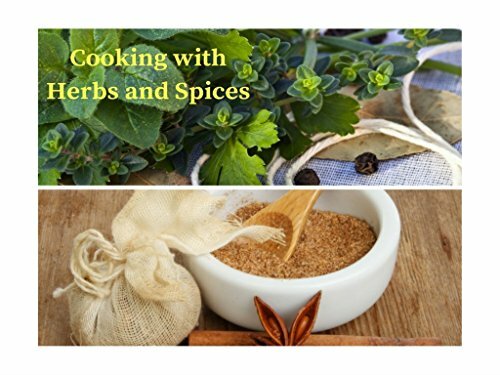 There are a variety of culinary and household uses. 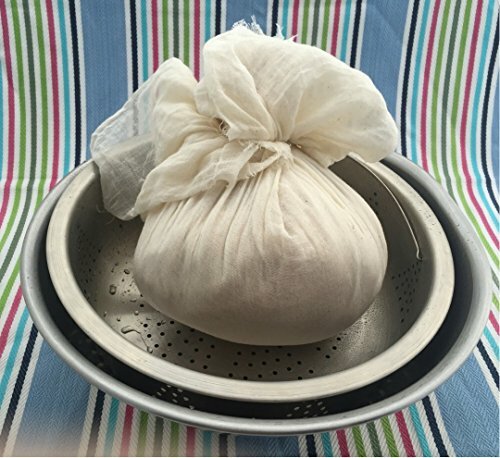 COMMON USES: Food Strainer for tea, jelly, broth, wine, fruit and vegetable juicing, bean sprouting ** Good cloth filter for cold coffee, nut milk, Greek yogurt, cheese, tofu, ghee making ** Keep poultry moist during basting, hold chicken and fish intact while poaching ** Bags for spices, herbs, handmade soaps ** Wood and fine surface polishing, staining, cleaning, dusting ** Craft projects, decorating, newborn wrap for baby photo shoots. ADDED VALUE: 75 feet 100% cotton Butcher's Twine for small and large tying projects. 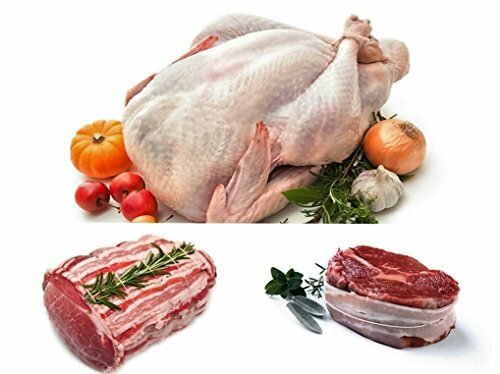 AVOID FRUSTRATION from using loose weave cloth with lower grade when working with food products. 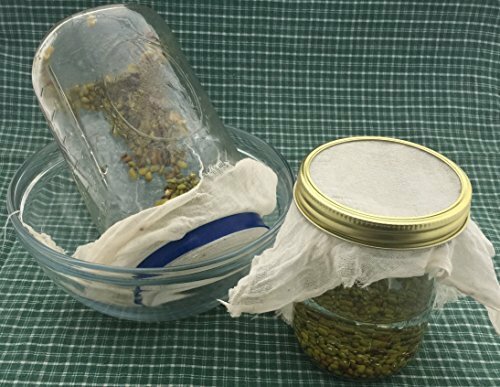 SAVE TIME AND MONEY use tighter weave cloth less layers needed during straining, and filtering. ADDED VALUE with 75 feet 100% cotton cooking twine for small and large tying projects. 100% SATISFACTION GUARANTEE: We offer a no hassle refund for your purchase. If you have any questions about this product by Health&Home, contact us by completing and submitting the form below. If you are looking for a specif part number, please include it with your message.